Starting May 2018, European companies and organizations will have to comply with new regulations aimed to protect individuals’ personal information and privacy under GDPR. Hence, data management and data protection policies will need to change. 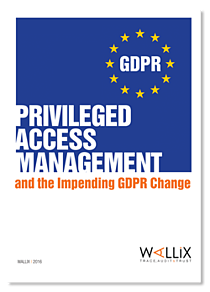 The role of PAM in “privacy by design” as well as GDPR-related audit, compliance documentation, and incident response.